Hello and welcome to exampundit. In this highly competitive sector, a new notification is always a new hope. And to be honest, aspirants have been waiting for new notifications since IBPS PO 2018. So, here goes the 10 Expected Recruitment Notifications in 2019. Since Banks are finally improving, getting out of PCA, we can expect good number of vacancies this year. Many of the banks did not recruit in 2017 or 2018. So, they are most likely to come out during with PGDBF or in IBPS. So we are listing down 10 Expected Recruitments in 2019. Perhaps the most eagerly awaited examination in every year. 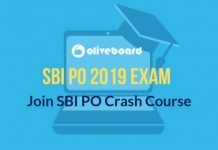 SBI PO notification is likely to be out during Feb-April of 2019. 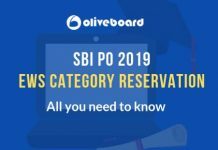 IBPS has clearly mentioned the tentative dates of IBPS PO 2019 in the IBPS Calendar. So, now we all can hope for increase in vacancies. 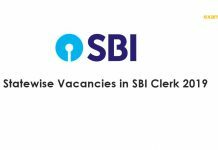 Similar to PO, we will have IBPS Clerk Recruitment this year. And as usualy, we hope and we can expect some improvement in vacancies. Few days back, SSC came out with the notification which had the dates of SSC CGL 2018 as well as SSC CGL 2019. So, it is a great relief for all the aspirants preparing for SSC. IBPS will have the traditional IBPS RRB Recruitment this year. With RRBs being amalgamated, we cannot assume any increase in the vacancies, but we can hope for the best. Last 3 years, everyone only have predicted about LIC AAO but none was true. However, this year, we may expect a generous surprise from LIC with LIC AAO 2019 notification. We may expect RBI Assistant Notification this year since there was nothing at the end of 2018. So, we can hope for the best. 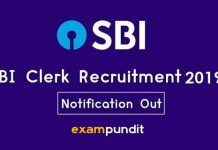 One of the most prestigious recruitment notification is RBI Grade B and we can expect the RBI Grade B notification around May-June of 2019. PGDBFs are often frowned upon by the aspirants for the unjustified percentage criteria. However, BOB Manipal PGDBF is one of the most loved PGDBF recruitment. We can expect it somewhere around April or May. NABARD Grade A and NABARD Development Assistant recruitment notifications are also expected to come this year. 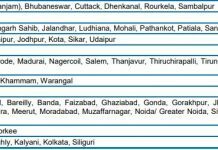 Banks like, Bank of Maharashtra (which got out of PCA recently), Syndicate Bank, Canara Bank are likely to come out with PGDBF recruitment notifications. Also, IRDAI, SEBI can come out with notifications. 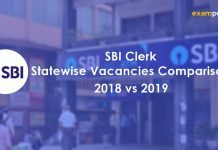 However, there is almost 0 possibility of SBI Clerk in 2019. But, we cannot say NO Possibility. Because, 1 – We don’t want to be negative and 2 – Nothing is ever assured in this sector. So, the above 10 Expected Recruitment Notifications in 2019 are expected. The dates may differ, may get delayed as per the decision made by the authority. So, prepare and get yourself ready.